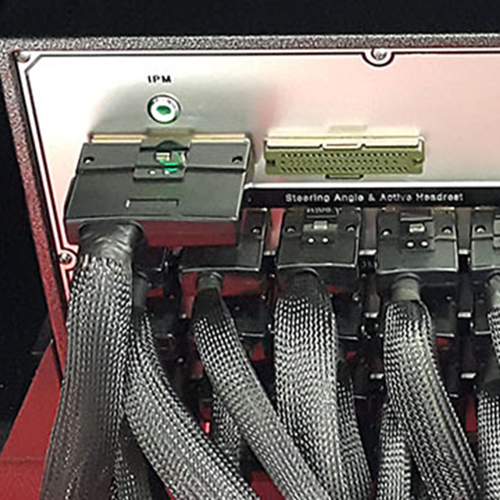 전장 ECU 분석 : 실제 차량의 다양한 지능형 전장 ECU 모듈을 차량 외부의 패널을 통하여 전기적 특성 및 신호 특성에 대한 분석을 가능하도록 지원한다. 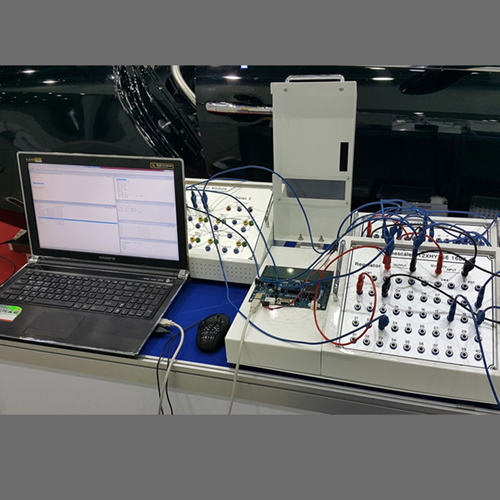 Field ECU Analysis : It supports the analysis of electrical characteristics and signal characteristics through a panel outside the vehicle. Implementation of breakdown by line : By implementing individual switches for each line, it is possible to study the countermeasures against the errors in the actual vehicle by supporting the implementation of the failure situation on the individual line. 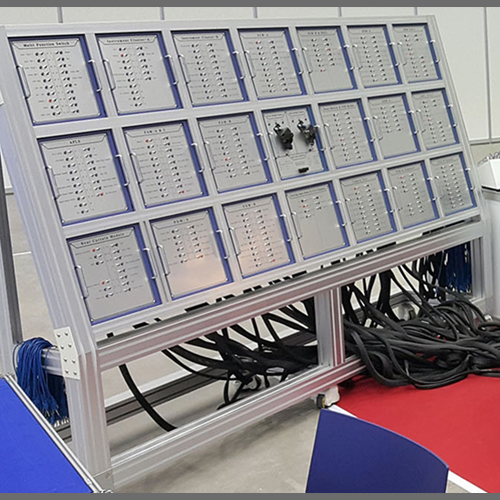 External ECU connection : The new ECU programmed by the operator can be connected to the actual vehicle system for driving simulation and system interlocking test.